In 2012, during his third year as an apprentice, Tim designed and made a piece to enter in the biannual design and craftsmanship awards hosted by the Jewellers Association of Australia. The awards are regarded as the most prestigious within the Australian jewellery industry and include entrants from Australia and New Zealand. Tim wanted to create a piece that would really stand out and decided against a conventional piece of jewellery. 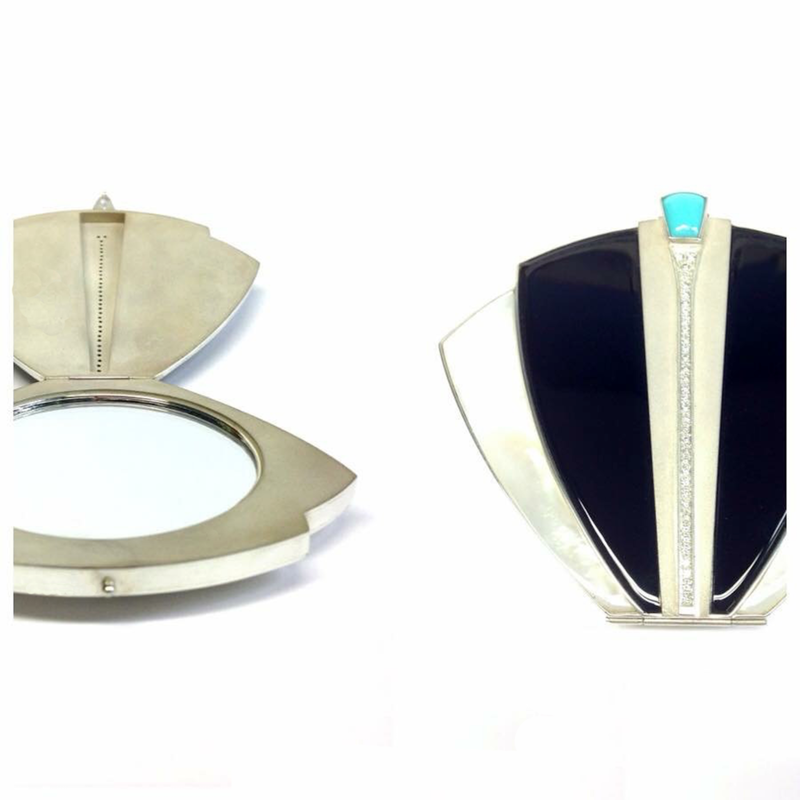 His hinged mirror compact, handmade in sterling silver and featuring specifically cut onyx, mother of pearl, turquoise and diamonds, borrows obvious influences from the Art Deco period and evidently caught the attention of the judges.